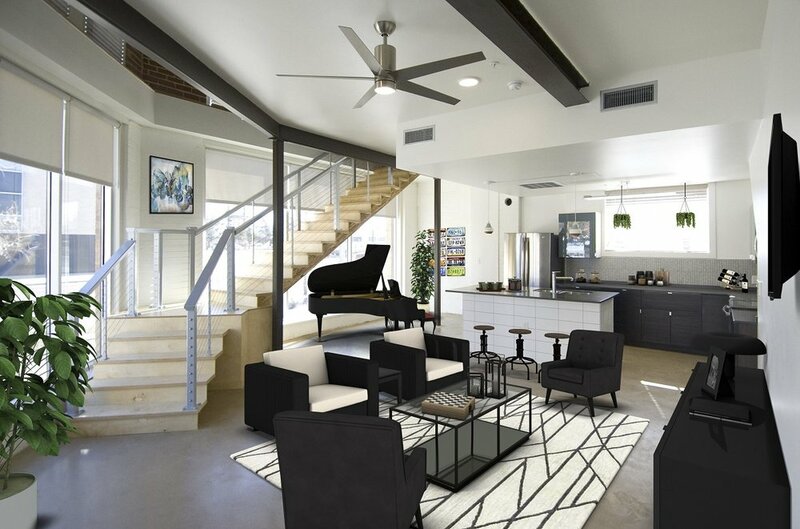 A one bedroom, one bath loft guaranteed to impress. The views are breathtaking from this one bedroom, one bath two-story loft located in The Firestone. A modern wooden staircase flows along the floor to ceiling windows allowing for ample natural light and views of the historic Santa Fe building. 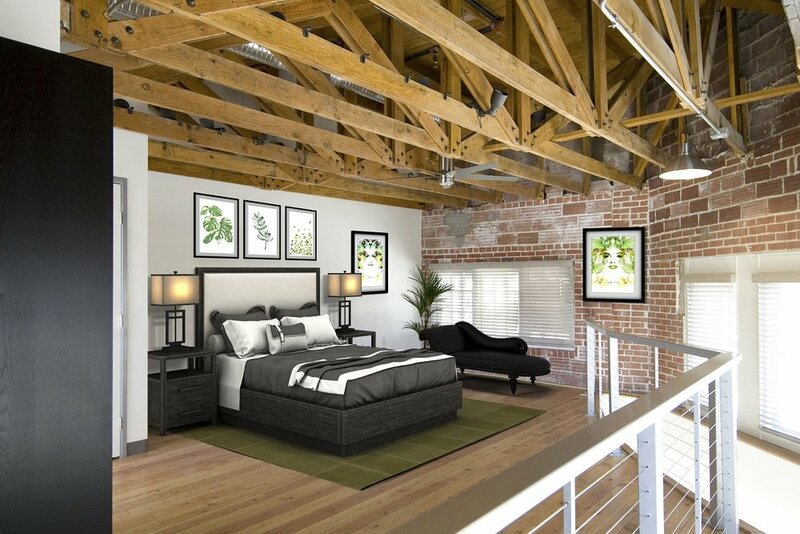 The bedroom features the beautiful wood floors, exposed wooden trusses, and exposed brick walls. This unit has personality throughout and is guaranteed to impress.